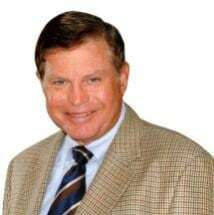 Attorney Jim Hard, a specialist who has been board-certified in estate planning and probate law by the Texas Board of Legal Specialization since 1977, has been guiding clients since 1966. Jim focuses his practice on tax and estate planning for a wide variety of clients in Houston, Austin, and other areas throughout Texas. He is recognized in the tax planning and the estate tax planning area for his insight into the tax law structure and the mindset of government officials. He spent many years working with IRS agents on estate and gift tax matters and audits of tax returns.